Prometheus Fusion Perfection | Developing Clean, Cheap, Open Source Energy with the Bussard Reactor. I have decided to end Prometheus Fusion Perfection. The project is too expensive for me. The Polywell requires at least $200MM to bring to fruition. I cannot hope to raise that much money. Although I could raise smaller amounts with Kickstarter, it would not be enough to complete the project. The blog will remain online indefinitely. I want to thank everyone that participated in this project: Many people have donated their knowledge, time and money. Although this project did not solve the energy crisis, it pushed the limits of DIY science. Personally, I learned more doing this project than any other endeavor in my life. I’ve plumbed the depths of plasma physics, electrical engineering, hardware hacking and on and on. It saddens me to end such an amazing project. A general property of magnetic fields is that they decay with the distance from their magnetic source. But in a new study, physicists have shown that surrounding a magnetic source with a magnetic shell can enhance the magnetic field as it moves away from the source, allowing magnetic energy to be transferred to a distant location through empty space. The basis of the technique lies in transformation optics, a field that deals with the control of electromagnetic waves and involves metamaterials and invisibility cloaks. 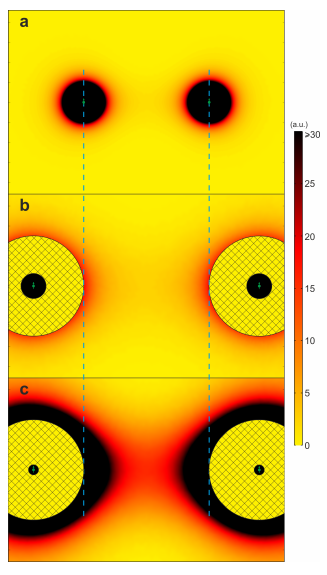 While researchers have usually focused on using transformation optics ideas to control light, here the researchers applied the same ideas to control magnetic fields by designing a magnetic shell with specific electromagnetic properties. Although no material exists that can perfectly meet the requirements for the magnetic shell’s properties, the physicists showed that they could closely approximate these properties by using wedges of alternating superconducting and ferromagnetic materials. The Polywell depends greatly on advances in magnet technology. This approach may be applicable, I don’t know. A practical realization of a magnetic metamaterial still requires all the inconvenience of superconductors which tempers my enthusiasm. Still, this idea glimmers with potential. Also, I bet I could build and test one. In fact I have almost all the materials on hand. Submit your ideas for an experiment in the comments. FIG. 4: Enhanced magnetic coupling of two dipoles through free space. In (a), magnetic energy density of two identical cylindrical dipoles separated a given gap. When separating and enclosing them with two of our shells with R2=R1 = 4 [(b)], the magnetic energy density in the middle free space is similar to that in (a). 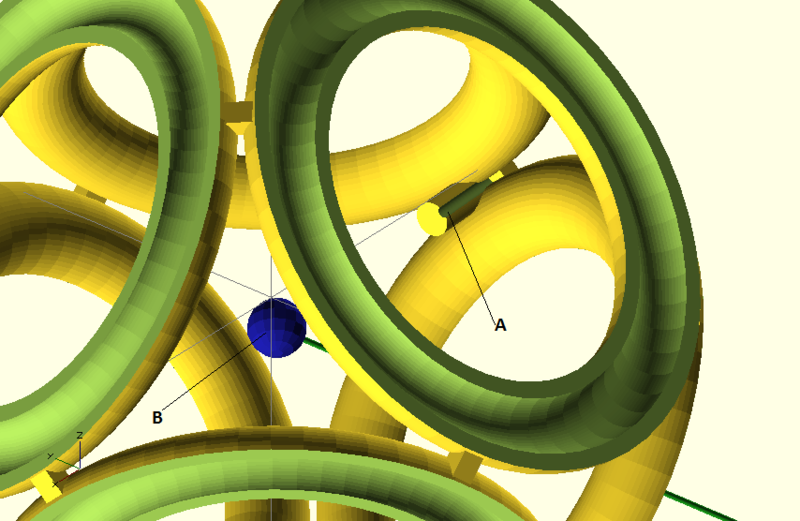 When the inner radii of the shells are reduced to R2=R1 = 10 [(c)], the magnetic energy is concentrated in the free space between the enclosed dipoles, enhancing the magnetic coupling. I’ve been thinking about it ever since. Here is a brief book report. There are two causes to the decline of a civilization: loss of energy and loss of energy quality. Peak oil is happening now, not 100 years from now. Falling supply paired with rising demand leads to ever rising oil prices, moderated only by damaging demand reduction. Post peak oil might bring economic depression or collapse. Gave me a new appreciation for oil. Stuff is useful – foundation of our modern world. Introduced me to energy quality. See also exergy. Unconventional oils have a lower energy quality. Upside: rising oil prices will force us off oil, like it or not. At some point in the last decade I learned about peak oil. It seemed inevitable, but 100 years away. “Energy Civilization: The Zenith of Man” argues that global peak oil happened in 2005. Although it is up for debate whether we are post peak oil, we only know for sure after it has happened. While it’s true that there is a lot of oil left in the ground, the easy, sweet oil is long gone. What’s left is increasingly sour, deep, tight, low EROEI, and low energy quality. More expensive extraction = more expensive oil. The oil price shock of 2008 was our first taste of demand bumping hard against supply. So basically you have a situation where oil supply constraints put a cap economic growth. Debt based economies don’t work in reverse. I image there would be a *cough* discontinuity in the face of persistent negative growth. Peak cheap oil could lead to some kind of economic depression or collapse. Look out for the burgeoning genre of collapse fiction. I will leave it to the doomers to fill you in on the collapse discussion. Transportation and construction totally depend on oil. Nothing comes close to oil’s energy density, which is especially important when you are taking your fuel with you. Almost all plastic comes from oil. Oil is a primary feedstock for chemical and medical supply industries. Most frighteningly, our food supply depends heavily on natural gas for fertilizer, farm equipment, produce transportation, etc. We use 10 calories of oil to make one calorie of food. So lets take a break from the dooming and look and some interesting physics. Energy returned on energy invested (EROEI) is the ratio of the amount of usable energy acquired from a particular energy resource to the amount of energy expended to obtain that energy resource. When we first started drilling for oil it took one barrel of oil to extract 100. So an EROEI of 100. Over time the EROEI of oil has dropped as we have extracted the easy stuff. Note that if EROEI drops below 1, you are just wasting your time (and energy). Some unconventional oils like tar-sands have such poor EROEI that using them may just be an exercise in pollution. Many feel we should use less oil. We will be forced to, like it or not. It’s clear from the inconclusive results of the symmetry test that our experimental apparatus isn’t durable enough. It needs to for a long period of time over the course of many trials, without breaking. Every time it breaks, we need to open up the chamber and fix it. In doing so, we inevitably make some slight change to the alignment of the components, the material makeup of the assembly, etc. Each of these changes introduces unknowns. This makes it difficult to compare the results of one set of trials to another, and thus difficult to accumulate the date we need to actually demonstrate something conclusively. To make matters worse, we aren’t getting deep vacuums because the much of the plastic and rubber components of the assembly are out-gassing. It’s as though instead of running one experiment a thousand times, we run a hundred slightly different experiments ten times each. 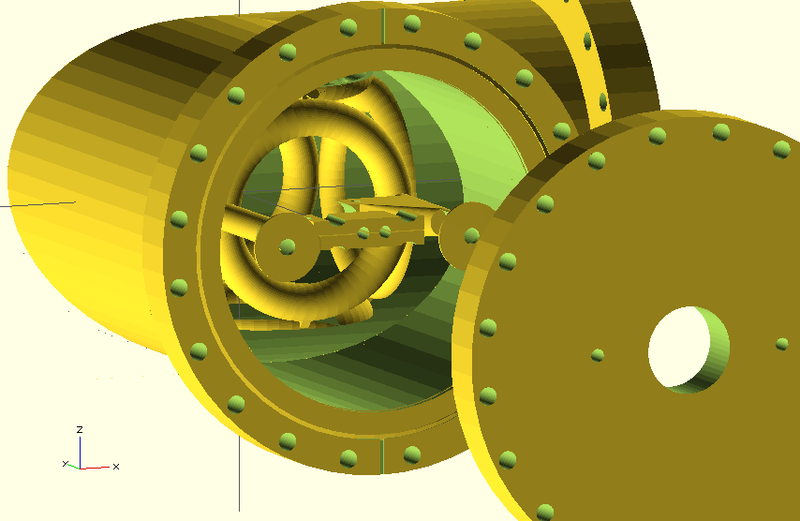 The two feet (bottom left) will be bolted to the conflat flange. The cathode holder is actually two pieces which sandwich two 2o mm lengths of 10-gauge solid copper wire between them into the inside grooves (A). The grooves on the outside of the cathode holder accept zip ties which will hold the copper wires firmly in place (B). Once the wires are secured, the whole thing is put into place against the left column, and another zip tie is slipped through the hole (C) on the extreme left of the cathode holder and looped around the column. This connection will be strong enough to prevent the cathode holder from moving during setup/normal operation. A light bulb filament, serving as the cathode itself, is soldered to the ends of the copper wires. 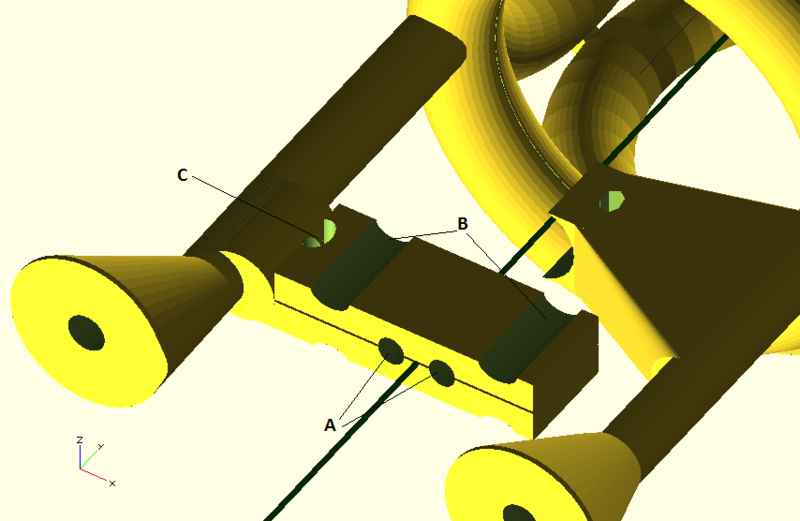 The anode, a copper cylinder, is put into the crescent moon shaped space (A), and a zip tie goes around it and through the hole (B), and secures it to the assembly. The langmuir probe fits int the groove in the cylinder (A), and attached with a zip tie or perhaps teflon tape. 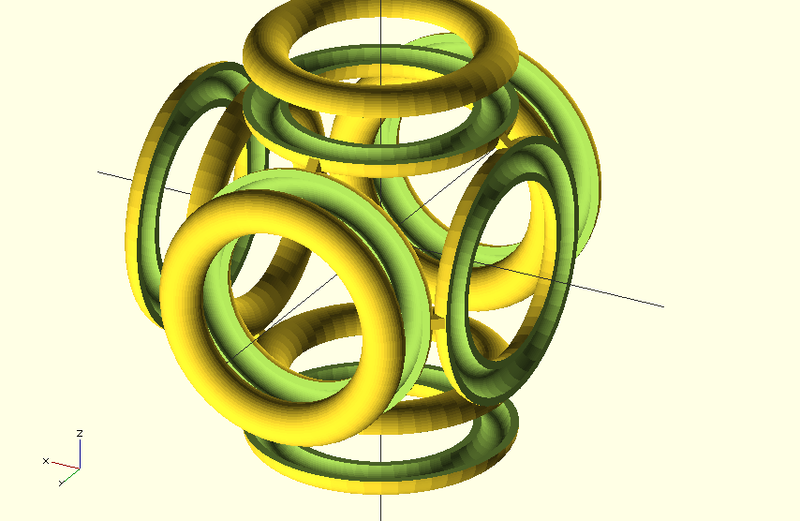 It extends into the center of the core, indicated by the blue sphere (B). The cylinder is oriented and positioned such that the langmuir probe will extend into the center of the core. The new langmuir probe is a strand of wire inside a very thin ceramic tube. The 9-volt battery on the right is for scale. The coils fit into the cavities in the core, and then covers go over them. The covers will be secured with zip ties or perhaps hose clamps. Other than the zip ties and wires, all of this will be made of ceramic. The zip ties will be made of tefzel, a strong, heat tolerant, and highly vacuum compatible material similar to teflon. All wire insulation will be teflon. This assembly will be heat resistant, electrically insulating, and much more rugged than previous designs. Ideally, we will be able to put it together, put it into the chamber, pump down to much deeper vacuum, and do hundreds of trails without anything breaking. moving, or changing shape. 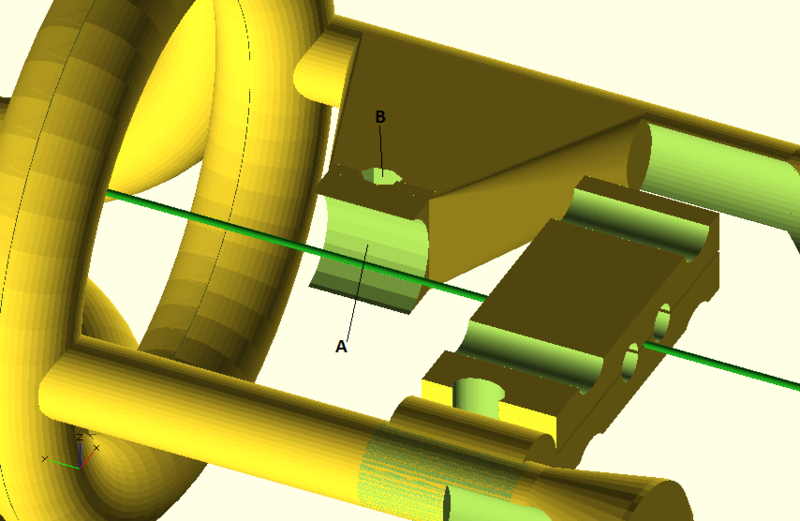 Here you can see the conflat flange (left) and the chamber. 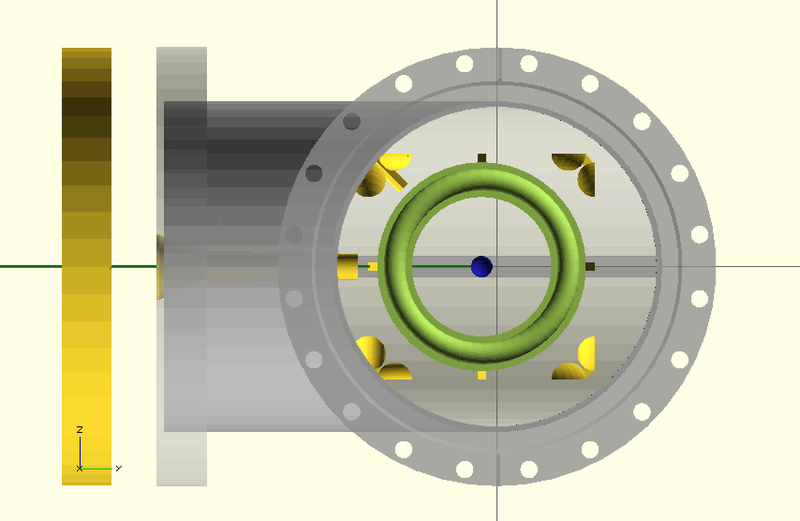 Notice that the blue sphere, which indicate the center of the polywell is not centered in the chamber. By offsetting the core slightly, I was able to get more clearance between the walls of the chamber and the core, which in turn allowed for a larger coil radius. While I have uploaded these models to shapeways, they will probebly not be the ones we actually have printed. This is more of a first draft. The symmetry test was an experiment we ran to determine if our potential well was symmetrical across its x-axis. It featured three langmuir probes, one in the center, on at the extreme left, and one at the extreme right. more details are in this post. While there were a few interesting results few interesting results, on the whole the experiment was inconclusive, and totaled our electron gun assembly. The first problem we encountered was the vacuum level. We barely got into the 10^-4 Torr range, and when we turned on the electron beam, the pressure went up into the 10^-3 Torr range. High pressures like these don’t render the experiment impossible, but they certainly don’t help. Ideally, the only particles in the chamber would be electrons, and so everything else just adds to the list of unknown factors. The e-gun was running normally, giving us readings of about -50VDC on the oscilloscope. For the first shot we did a control. We hooked up one probe to the center langmuir, and one the the shunt resistor on the on power supply, and we got a small well. So everything was working as expected, despite the unusually high pressure. This is good, but also strange in light of the last test results, in which the charge at charge at the center of the core became less negative when we fired the coils. Then we switched the oscilloscope probe on the coil power supply to the left langmuir probe, and fired. Nothing on the left langmuir. We tried again with more power going into the coils. 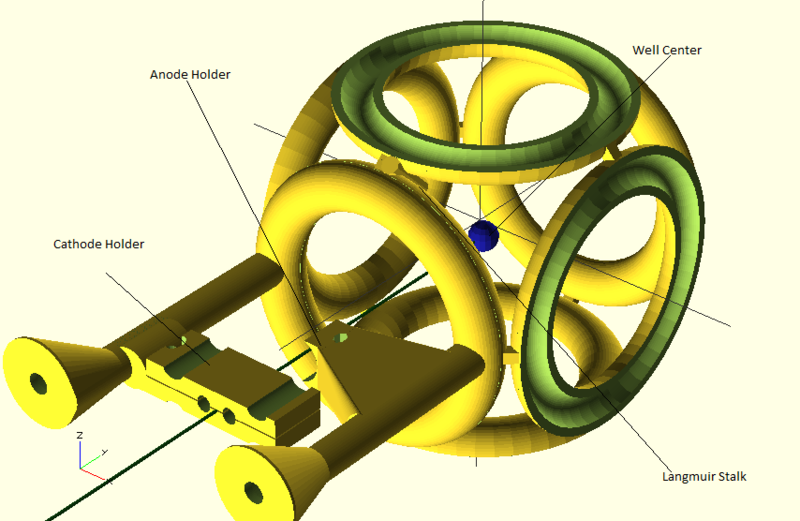 The charge at the leftmost extreme of the well is about -3VDC, and the charge at the center is about -10VDC. Not surprisingly, electron density has some relationship to distance from the center of the core. We intend to eventually define this relationship precisely, but to do so would require much more data. Not especially meaningful to us. We rightly assumed that the noise meant our trial was over, so we opened up the chamber. We found the accelerator anode laying in the bottom of the chamber. The heat from the filament melted the plastic enough for the screw mounted in it to come loose. Everything around it was coated in a thin film of blue plastic, and much of the wire insulation was burnt as well. Obviously, ABS plastic and rubber insulated wires just aren’t right for this experiment. They can’t take the heat of the cathode, and they out-gas so much that they ruin the vacuum. Pretty easy to thoughtlessly reach in and touch the dangerous parts. With this setup, the only thing you can touch is wood, plastic controls, and the grounded metal face of the box, so it would be pretty hard to blow your hand off. The next step was making the HVDC out wires safer. (the fat green and yellow ones in the first pic) The way we had it, the only way to dissconnect them was to reach into the supply and unscrew the ring terminlas to which they were connected. Not great. To fix this, I installed a high current outlet onto the back of the box and connected some shorter wires. So now it’s pretty safe. In fact, it’s so safe that getting into the power supply at all istoo much of a pain. We don’t want to have to move this box every time we need to reset the breaker. To make access easier, I put hinges on the bottom of it (see above), and chains on the side, so it opens like a tool box. Look’s pretty badass, kinda like a ten-cylinder car engine. If you open the “hood”, the power cord is automatically pulled out. This way, it’s impossible to open the power supply while it’s plugged in. The coil supply is idiot-proof, but isn’t so locked down that minor repairs and upgrades are too much of a hassle. This is one more step towards a streamlined, repeatable, experiment procedure.